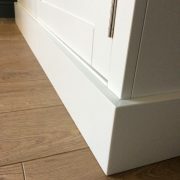 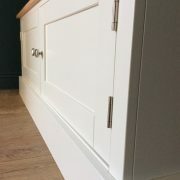 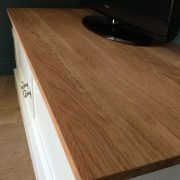 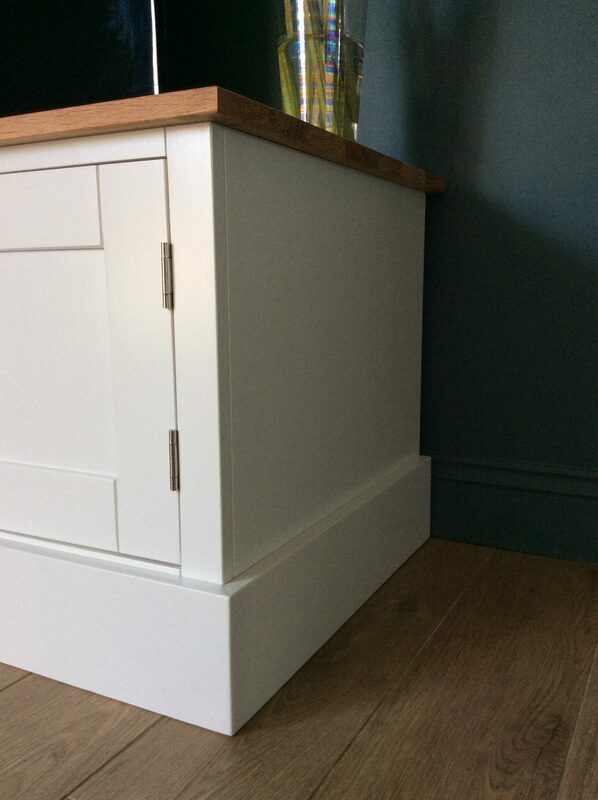 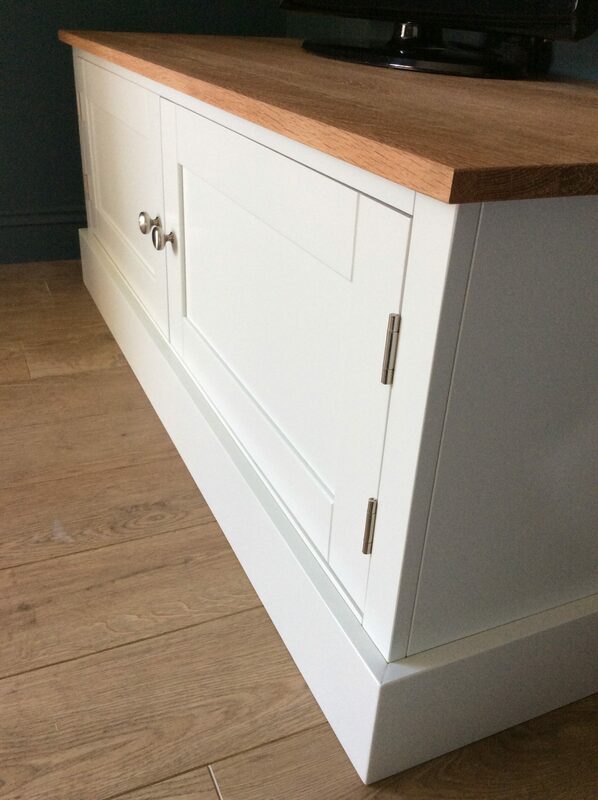 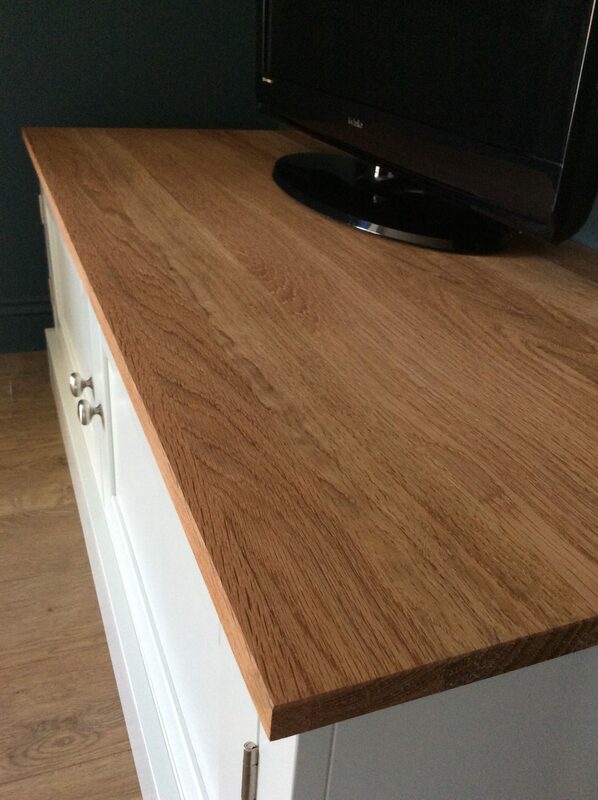 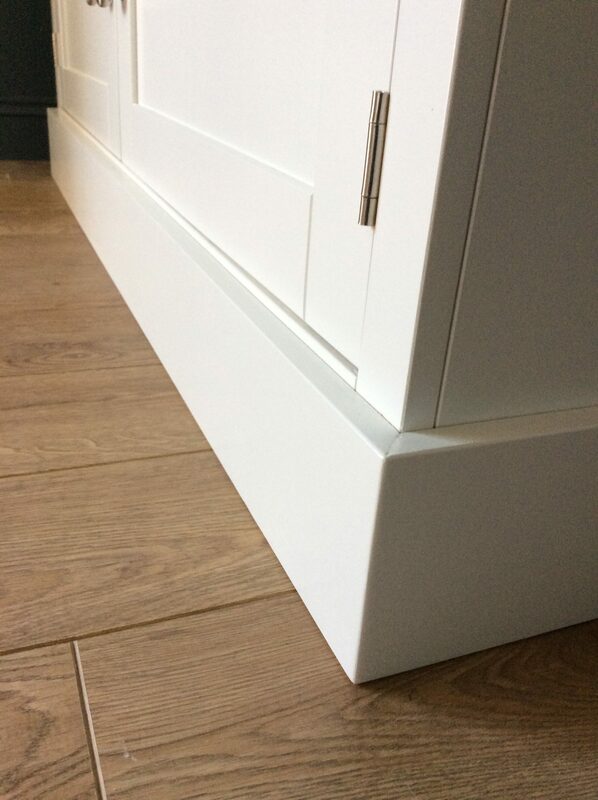 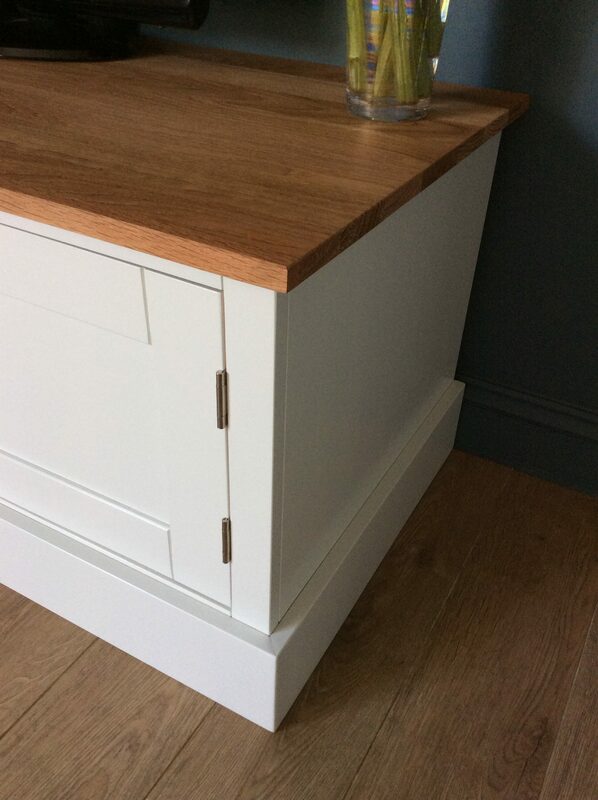 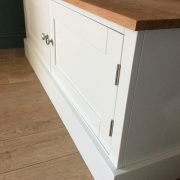 MADE WITH A SOLID OAK WORKTOP AD THE REST OF SOLID PINE, HANDMADE HERE IN THE UK. 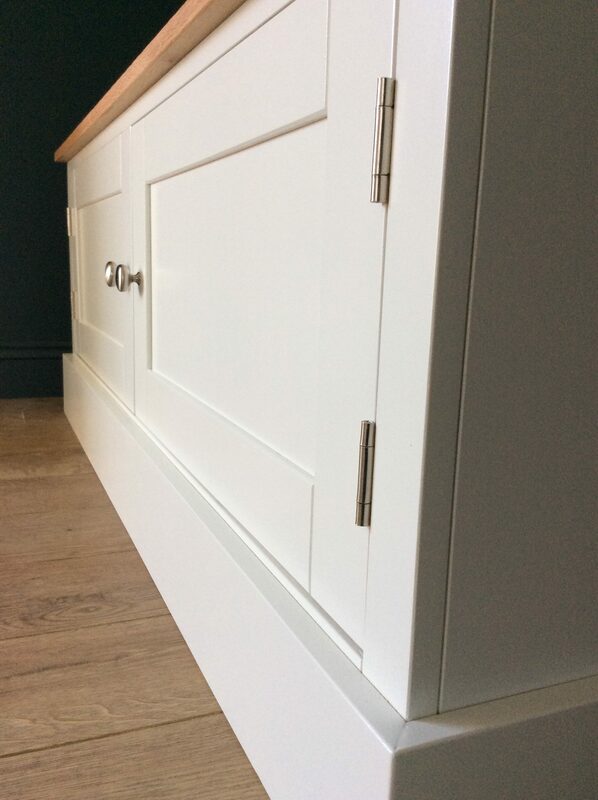 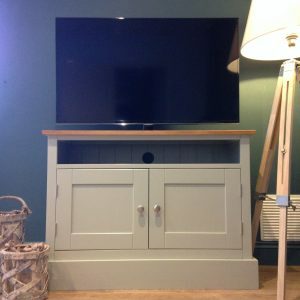 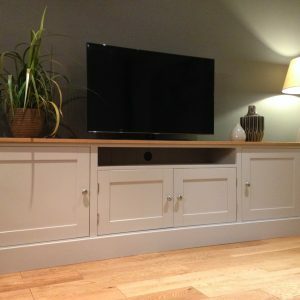 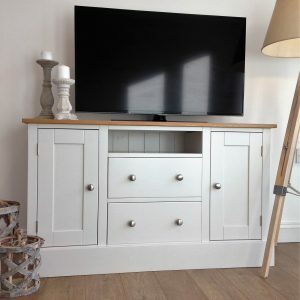 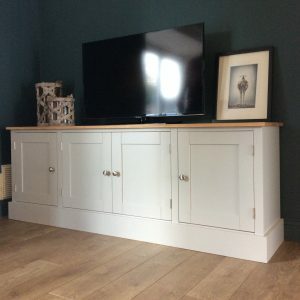 THIS TV STAND LOOKS FANTASTIC & PROVIDES LOTS OF GREAT STORAGE SPACE IN THE ONE LARGE CUPBOARD, FRONTED BY TWO DOORS & WITH AN ADJUSTABLE SHELF INSIDE. 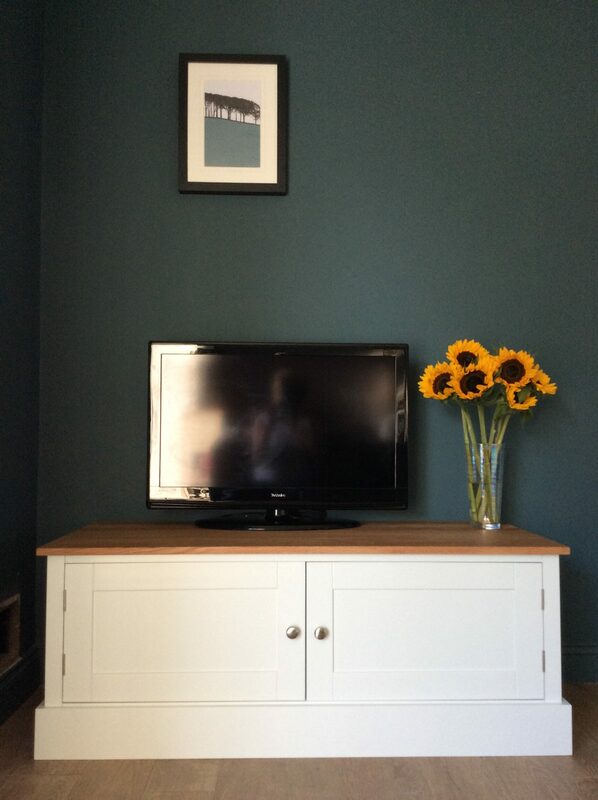 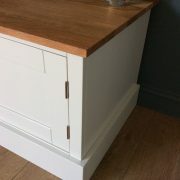 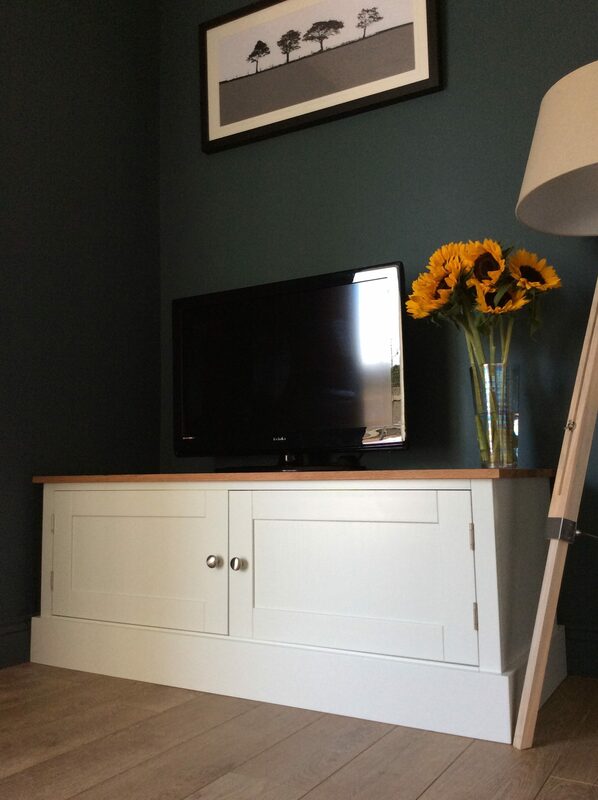 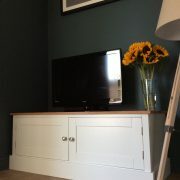 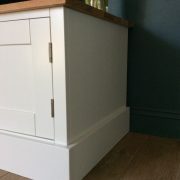 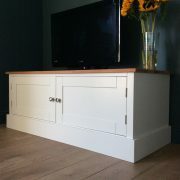 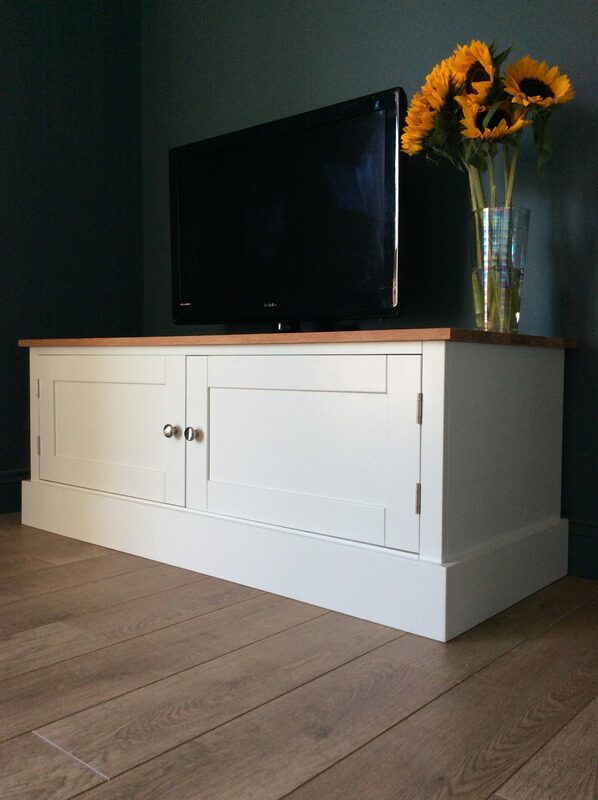 THIS UNIT CAN BE PAINTED ANY FARROW & BALL COLOUR AT NO ADDITIONAL CHARGE.